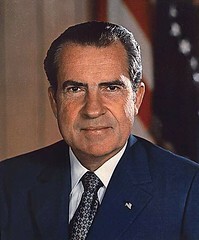 In 1974, President Nixon wrote his proposal to Congress for the implementation of his Comprehensive Health Insurance Plan. In it, he notes that “the average cost of a day of hospital care has exceeded $110” ($480.79 in today’s dollars) and that the “average cost of delivering a baby and providing postnatal care approaches $1000” ($4,370.85 today). These findings motivated him to promote his new plan, one which he said wouldn’t require anyone to pay more than he or she could afford. Reading this got me interested in finding out more about the average costs of healthcare today. The average cost of one day in the hospital in Texas floored me: $1,943 (as of 2010). * The cost of delivering a baby varies a lot, but nearly always costs more than $8,000. Fast-rising costs are one reason health care reform is so important. What’s great about the Affordable Care Act is that it doesn’t try to bring down costs by cutting back on valuable health care services shown to save lives, like prevention and screenings. Covering things like preventive screenings, mental health treatment, and autism makes good fiscal sense, especially when it comes to children. Health insurance premiums might even come down because of such coverage. All proposed rate increases of 10% or more must be gone over by independent experts. . . .If the planned price hikes don't stand up to scrutiny, states can negotiate them down or, where authorized, deny them outright. . . . Later this year, the "medical loss ratios" of health insurers also will be posted, giving you a closer look at whether your insurer is meeting the health care law's requirement that at least 80% of your premium be spent directly on medical care. If that's not the case, the insurance company will now owe you a rebate for the difference. With rising costs and increasingly prevalent medical problems, bringing down costs by making sure insurers aren’t padding their bottom line is just smart. This is something that touches all of us, and it is one reason reform is crucial. * In Nixon’s writing, it isn’t clear whether he is talking about an inpatient’s average cost or an outpatient’s, but this number is for inpatients.